The Gold Coast is hailed around the globe as a paradise destination for sunshine lovers, surfers, shoppers and holiday-makers. Between its pristine beaches and vibrant streets, The Gold Coast ticks all the boxes of The Australian Dream. And yet, the local real estate market is still undersaturated and full of untapped potential. So while Sydney’s housing prices soar and Melbourne’s market faces hot demand and fierce competition, it makes sense that some buyers are looking to The Gold Coast for their next apartment or investment. 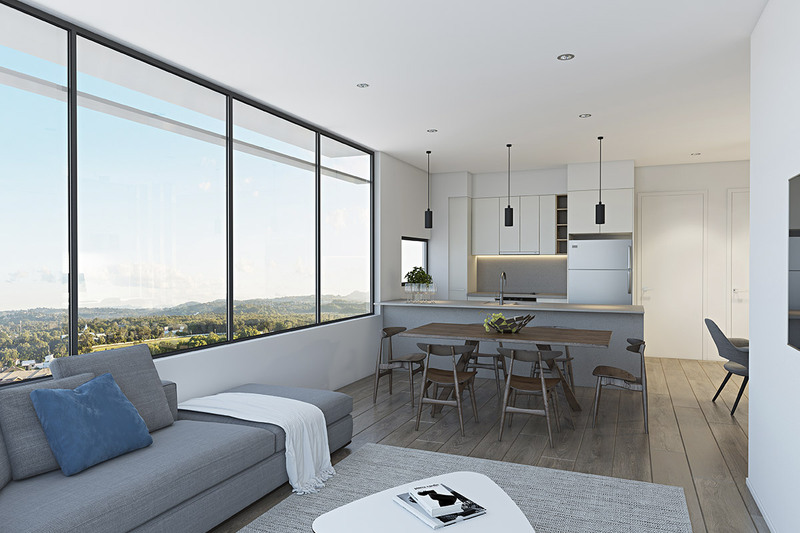 Explore some of the latest Gold Coast apartment developments causing excitement among the Queensland population and the eager-to-migrate Melburnians and Sydneysiders in search of a better lifestyle. From premium imported stone to feature pendant lighting, the development team has crafted these homes with an exceptional level of attention to detail. Comprising 2, 3, and 4 bedroom luxury apartments and a limited number of Beach Villa and Penthouse residences, Elysian has been limited to just four homes per floor to maximise space and privacy. Interiors are enhanced by sharp lines and metallic accents, lending the open plan living spaces an understated elegance. Meanwhile, floor-to-ceiling windows grant access to views over the sparkling waters of Kurrawa Beach and the leafy expanse of nearby Pratten Park — creating the perfect backdrop to any dinner party. 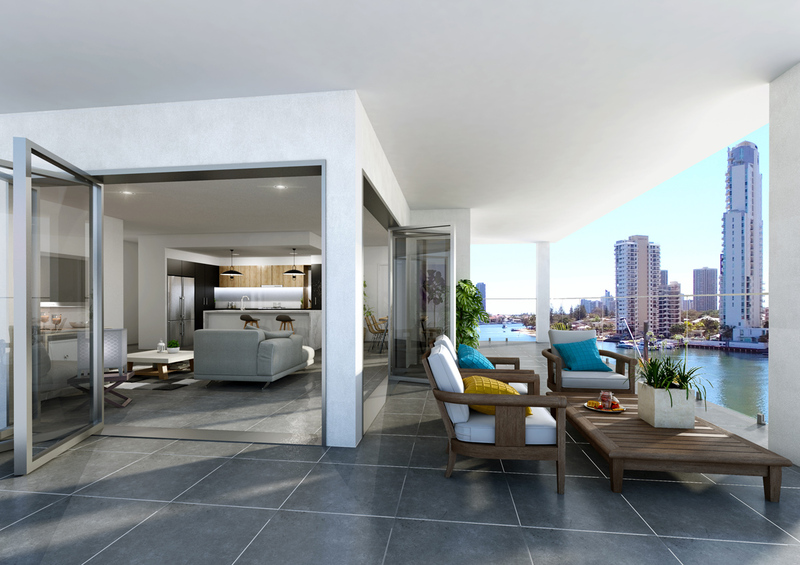 Enquire here to find out more about Elysian Broadbeach. 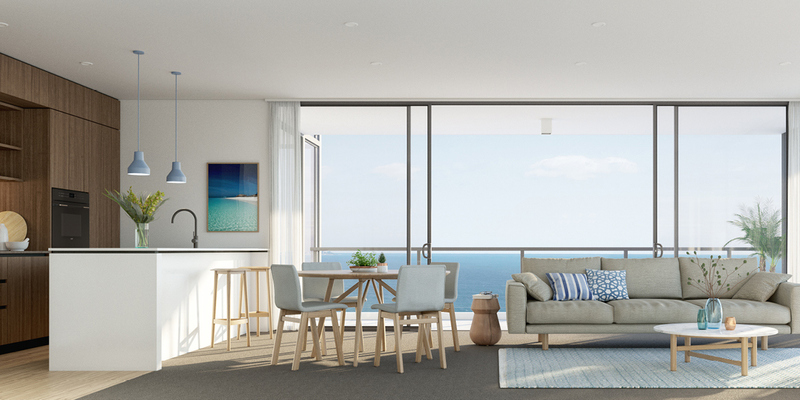 Located just steps away from world-famous Kirra Beach, these residences blend coastal simplicity with considered and elegant design. Each of the light-filled residences features 155 sqm half-floor layouts, capitalising on north-facing coastal views through seamlessly connected indoor and outdoor spaces. With kitchens and bathrooms featuring stone and marble elements and beautifully crafted cabinetry in the living areas, these homes demonstrate a commitment to high quality. Residents have access to exclusive shared amenities such as a private dining area and a swimming pool and leisure area. Outside the home, The Strand’s café and restaurant precinct is just a 5-minute drive away while Kirra Village is just a 2-minute walk from MAYA’s doorstep. Enquire here to find out more about MAYA Kirra Beach. Living at Sandbar will mean the beautiful beaches of Burleigh Heads are always just 250m away. Feel the sand between your toes within minutes, or simply enjoy the vast ocean views from your living room or balcony. The collection of luxurious residences offers two and three bedroom options and gorgeous, light-filled interiors – perfect for those looking for a modern lifestyle at a prestigious seaside location. The swimming pool with comfortable sunbeds is a pretty nice feature too. Find out more about Sandbar Burleigh. Living at Signature you’ll be able to take full advantage the spectacular beachside location. Enjoy breakfast watching the waves washing in or head down to the beach for a morning swim. Residents of the one, two and three bedroom apartments will have access to the exclusive Signature Deck featuring an infinity pool as well as the on-site gym, sauna and spa. Find out more about Signature Broadbeach. Vantage is positioned in the highly sought-after Royal Pines precinct in the suburb of Benowa. With modern finishes and large floorplans, these apartments are set to deliver an exceptional lifestyle that benefits from nearly two hectares of landscaped gardens. Golfers will love living in an apartment that overlooks the stunning Royal Pines Golf Resort, which also has a health and fitness centre, day spa and hair salon, as well as on-site dining. Find out more about Vantage. Nestled in a prime position on the northern edge of Broadbeach, Opus will offer residents an impressive array of vistas. Everything that makes Broadbeach famous is within easy reach, yet you are far enough away from the bustling Broadbeach heart to enjoy the peace and tranquility of the surrounding natural landscape. As well as sophisticated interiors and well-crafted living spaces, Opus features a plunge pool, a sundeck, and a yoga lawn for residents to enjoy. Find out more about Opus Broadbeach. These Surfers Paradise apartments are located on an iconic island, minutes from the dazzling centre point of Australia's holiday playground and the famous beach beyond. The boutique apartments are exquisitely designed to give you an unparalleled sense of spaciousness and grandeur, offering mesmerising views of the pristine waterway that flows past your door, and of the dazzling Surfers Paradise skyline. Spend the afternoon at the beach or relax in your own private pool with a cocktail. Find out more about Tarcoola River Residences. Interest in other areas in Queensland? Discover all of our favourite off the plan apartments in Brisbane here.